Release Date:03/01/2019;Notes:Vinyl LP pressing. Composer, arranger, and pianist Mary Lou Williams' musical career reflected the history of American jazz from the late 1920s through the 1970s. Described by Duke Ellington as being "beyond category," Williams was conversant in jazz styles ranging from stride through swing and be-bop to the avant-garde, yet her music was always rooted in spirituals and the blues. This self-produced recording, originally recorded in 1962 and 1963, contains a mix of standards and originals including four compositions reflecting her devout interest in religious music. 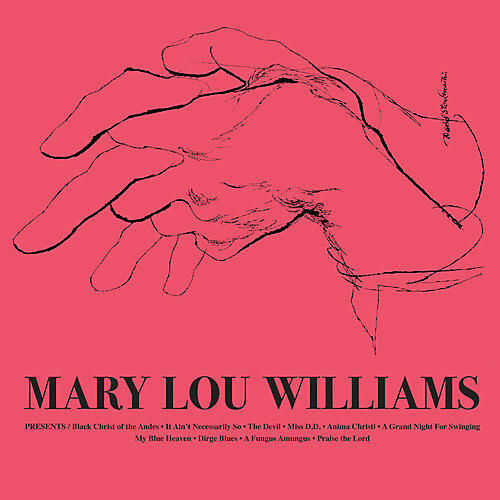 The vinyl offering of Mary Lou Williams, which includes a liner notes booklet, is part of the Smithsonian Folkways Vinyl Reissue Series, revisiting some of the most iconic and influential albums in our collection.